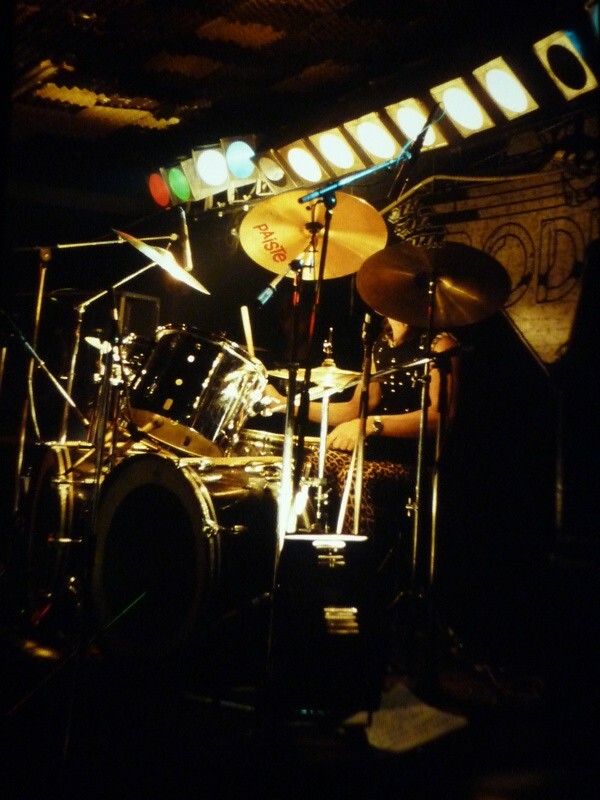 1983 or 1984: Gerard behind his drum kit (photographer unknown)Gerard was co-founding member of Bodine, together with Rheno Xeros. Before Bodine he played a short while in Lava, a Dutch rock band that emerged at the end of the 60´s. Together with Armand van der Hoff, Gerard was responsible for the beefy sound forming the rhythmic basis of Bodine's music. For several years, Gerard did musical accompaniment of a group of ballet dancers. This helped him to improve his technique. They used to practise till about 10 o'clock in the evening, after which Rheno would appear with his guitar. They jammed together for nights on end. 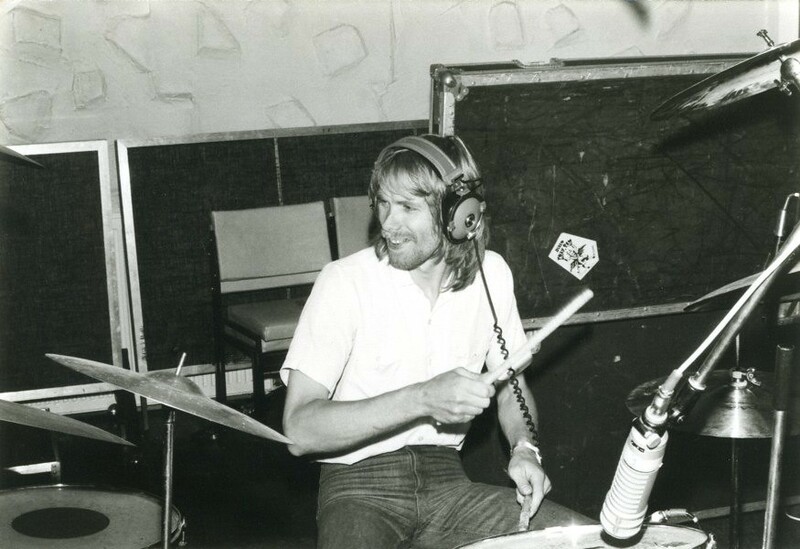 In the same period, between 1974 and 1980, Gerard was a drumming teacher in Bussum. 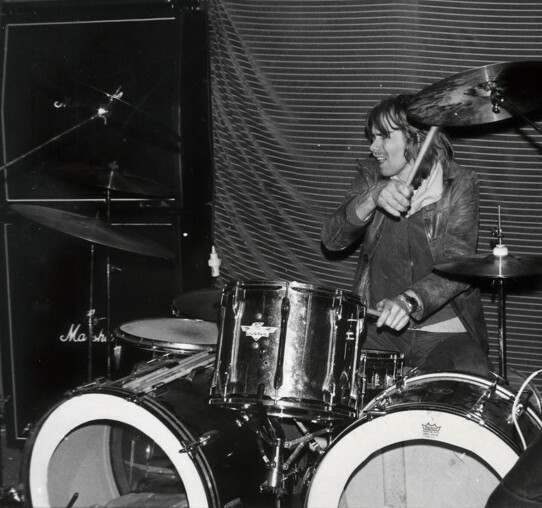 Gerard's drumming style was influenced by Carmine Appice of Vanilla Fudge. 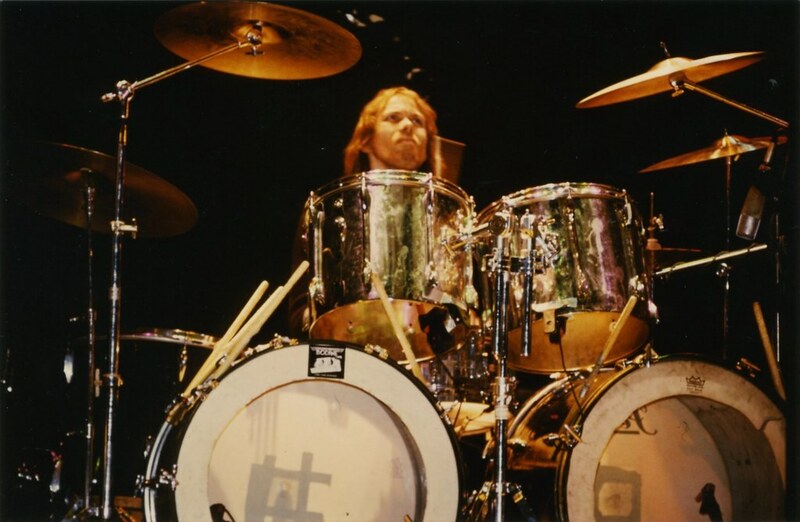 He also admired King Crimson, which in those days featured Ian Wallace and Bill Bruford on drums. Although on the first Bodine album only single bass drums are heard, the video of Bodine performing at Biervliet in 1981 shows that Haitsma already had a double-bassed kit in the early Bodine years. 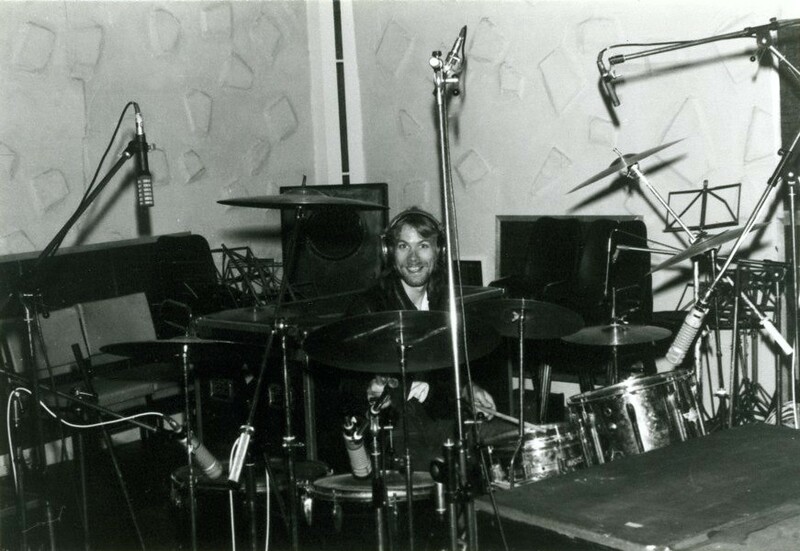 Indeed, before recording the first album, he had been experimenting with double bass kits during rehearsing sessions. One of Gerard's trademarks was the reversed use of drumsticks. 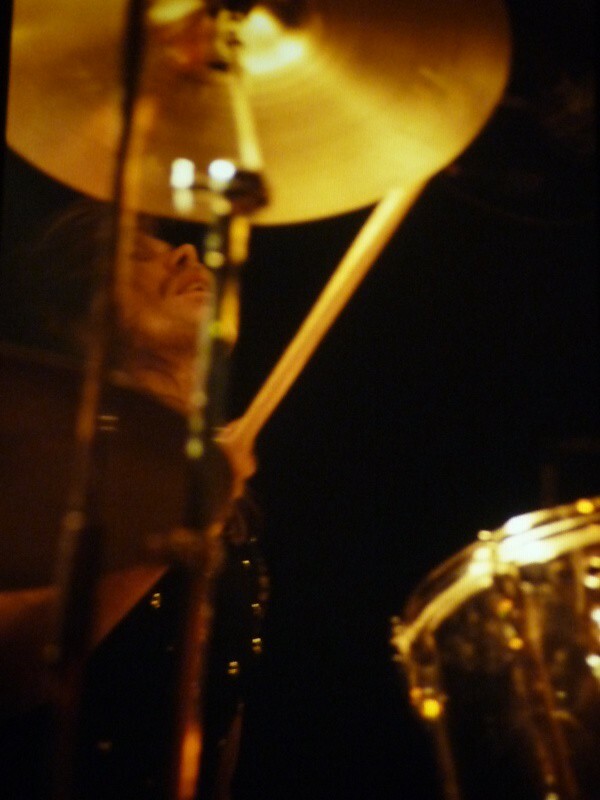 Holding them at the thin end, he was able to create a more bludgeoning sound than most of his colleagues behind the drums. 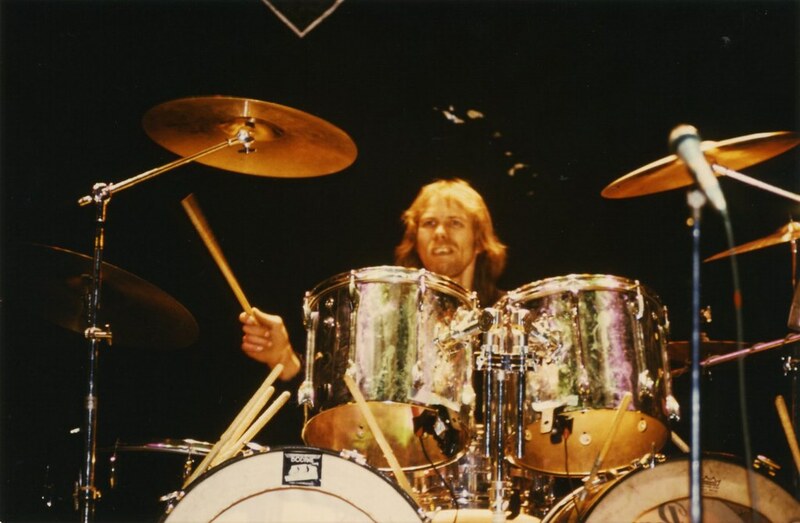 This would explain why it was easy for him to switch to a heavier style when it was needed on the second and third album, using double bass rhythms like other hard rock drummers had developed, such as Simon Phillips or Cozy Powell. This obviously gave Bodine a more aggressive and heavy sound on Bold As Brass and Three Times Running. ‘Rock Machine’ on Bold as Brass demonstrates Haitsma’s remarkable change of style within a year’s time. During his Bodine years, he was nicknamed 'Bodynamite' by the other band members. 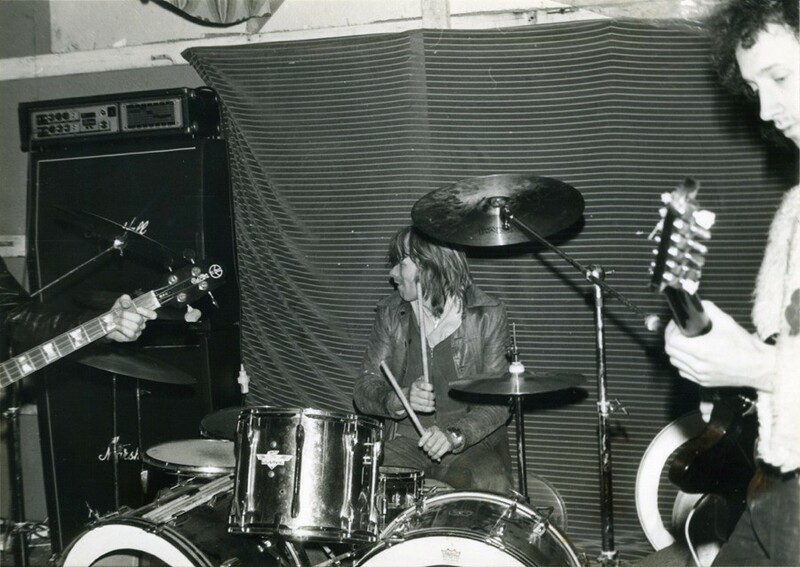 After his Bodine years, Gerard was a session drummer for M-80 and stepped in for John Snels, drummer of Vengeance when the latter was recovering from an injury. It earned him a second appearance on Coundown Cafe, when Vengeance was hosted as a live band. An EP was released with three songs recorded at this concert. Gerard also produced the album Reign Of Evil by Dark Wizard from Vroomshoop in 1985, which was released on Mausoleum Records. 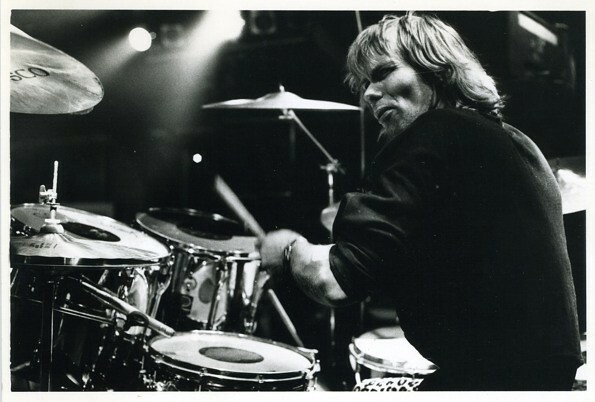 Gerard Haitsma in 1992 © Willy VerdiesenIn 1989, former Vengeance axe-man Oscar Holleman called Gerard Haitsma with an invitation to jam together. One thing lead to another and Bodine Mk-IV is formed. 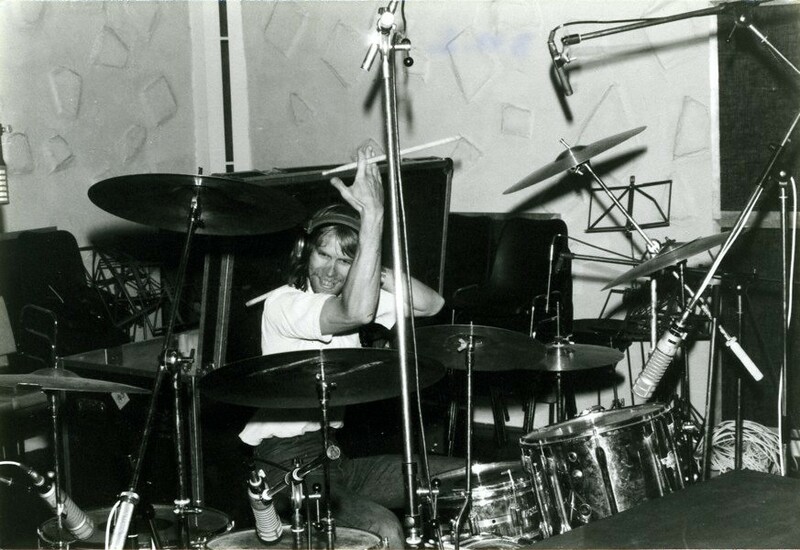 During 1992, five songs are recorded in Oscar Holleman's RS29 studio, but they never make it to an official release. In 2011 they surfaced and were released as a demo. Haitsma also produced the album 'Sword Of Steel' by the band Vault, which was released in 2002. Currently, Gerard does not drum for a living. From time to time, he jams with friends but has no concrete plans to record nor release any material.